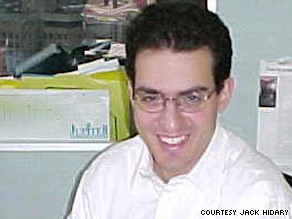 Editor's note: Jack D. Hidary co-founded a technology company, Earth Web/Dice, and a financial research company, Vista Research. He works currently in the fields of clean energy technology and policy and is chairman of SmartTransportation.org which successfully pushed for the use of hybrid cars as taxis in New York City. Jack Hidary says the Cash for Clunkers program promotes fuel economy and safety while boosting the economy. NEW YORK (CNN) -- Our country is facing a daunting economic challenge this year and we must take steps to pull ourselves out of this ditch. One such program that has hit the ground running is Cash for Clunkers. It's helping consumers move beyond these hard times and has reignited a whole industry. Cash for Clunkers is now working in more than 10 countries around the world. In Germany, consumers have junked more than 1.2 million guzzlers in the last five months and significantly boosted the economy there. So we know that Clunkers programs get the job done. How many other government programs can you say that about? The Senate has joined the House in passing an additional $2 billion for Cash for Clunkers, allowing the program to move forward. This will bring additional buyers to the showroom. One key feature of the Clunkers program is that it is not just $3 billion of new money into the economy. It is injecting $21 billion -- since consumers must bring the rest of the money to pay for the new car. That is a lot of stimulus for the dollar. Cash for Clunkers is saving jobs up and down the auto supply chain: from dealers to assembly workers and parts markers. Dealerships alone lost 50,000 jobs in the last 18 months and would continue to shed jobs without this program. If you look at the new cars consumers are buying with the program, 45 percent are from Detroit's Big Three automakers. That is a lot of new sales for Ford, GM and Chrysler. Cash for Clunkers also helps autoworkers across the country. Let's remember that lots of the Toyotas and Hondas sold in the program are made by American workers right here in this country. They are in states such as Kentucky, Tennessee and Alabama. This program helps all American autoworkers, not just those up North. Some people ask why we should help the auto industry and not other industries in this same way. Cash for Clunkers actually helps all of us -- even those of us who do not participate in the program or work in the auto industry. First, the auto industry has so many connected jobs in real estate, finance, manufacturing and other industries, that is hard to separate it out. Second, one of the biggest drags on our economy is our trade imbalance. We import about $700 billion more than we export. That hurts our capital flows, credit and other key indicators. Guess what amounts to 50 percent of that trade imbalance? Oil. We use 21 million barrels of oil every day in the United States and import 62 percent of that -- mainly from countries that really don't like us. We use that oil mainly for transportation -- cars, SUVs, and other vehicles. Unless we scrap guzzlers at a faster rate, we will never reduce our oil consumption. Cash for Clunkers is a step in the right direction. It educates the consumer on how much they are paying for having a low-MPG car and encourages them to get into a more efficient vehicle. A family can save $750-$1,000 a year by jumping just 10 mpg in efficiency. Those savings will increase as gas prices go back up. Gas has already shot up from $1.50 a gallon to $2.60. Do you want to be stuck with a 10 mile-per-gallon guzzler when gas jumps back to $4 a gallon? Third, Cash for Clunkers saves lives. When you bring in a clunker that has no airbags, anti-lock brakes or other modern safety features and get a new car that does, you are protecting your family. Forty thousand people die every year on American highways and many more get serious injuries. You can reduce your chances of becoming a statistic by getting the most safety for your dollar -- and with the Clunkers program you can now do that more affordably. As a co-architect of the federal Cash for Clunkers program with the Center for American Progress and the American Council for an Energy-Efficient Economy and adviser to various congressional offices on the issue, it is gratifying to see how quickly it has been adopted by the American people. It achieves multiple goals -- it stimulates auto sales, increases the efficiency of the U.S. fleet and makes us safer. Let's support this program by encouraging our friends and neighbors to finally retire that guzzler and help the country with the purchase of a cleaner, lower maintenance car for the future. The opinions expressed in this commentary are solely those of Jack D. Hidary.